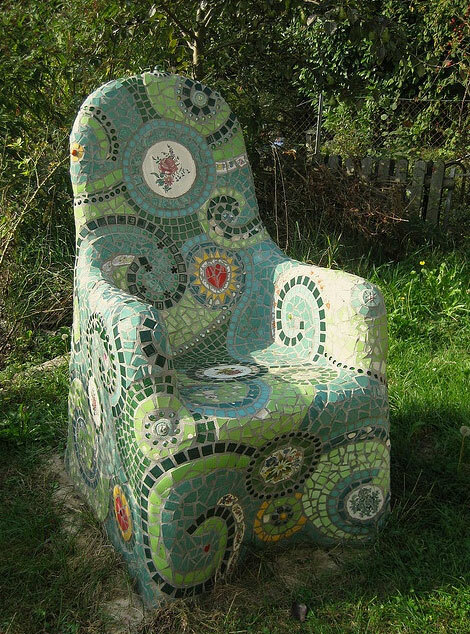 Need some Garden Mosaic Project Ideas? 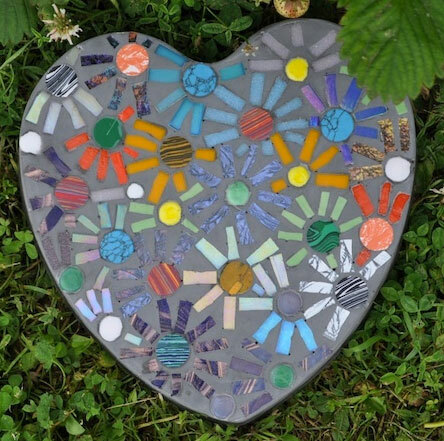 Don't trash your broken cups, plates or glass and use them to create these Lovely Garden Mosaic Projects around your garden. 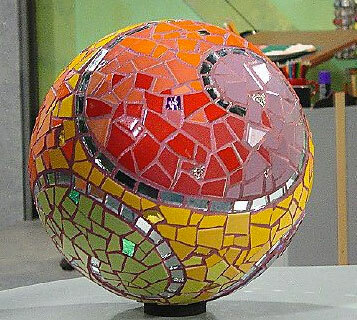 Welcome to our Mosaic Project Ideas Gallery. The following projects are both practical and beautiful, and have complete tutorials to go with them. you can use a wide variety of materials to make these. 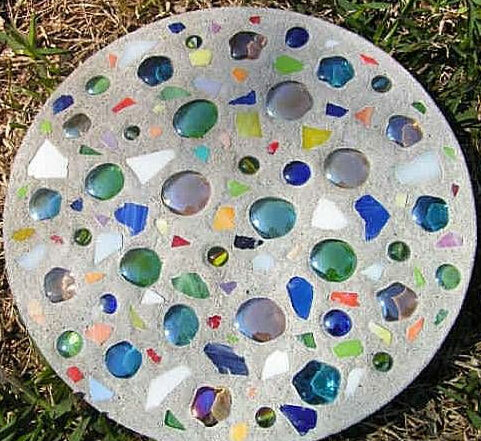 Some have used broken plates, glass, or old broken tiles. You can use anything glass to create your own work of art. 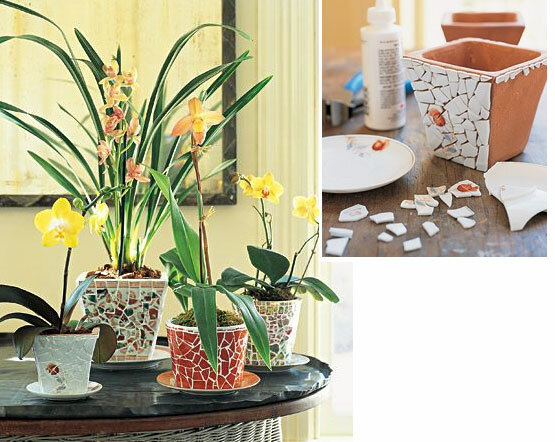 You can also buy tiles at your local hardware store that are specifically for mosaic projects. Hope you are inspired by the following project ideas. 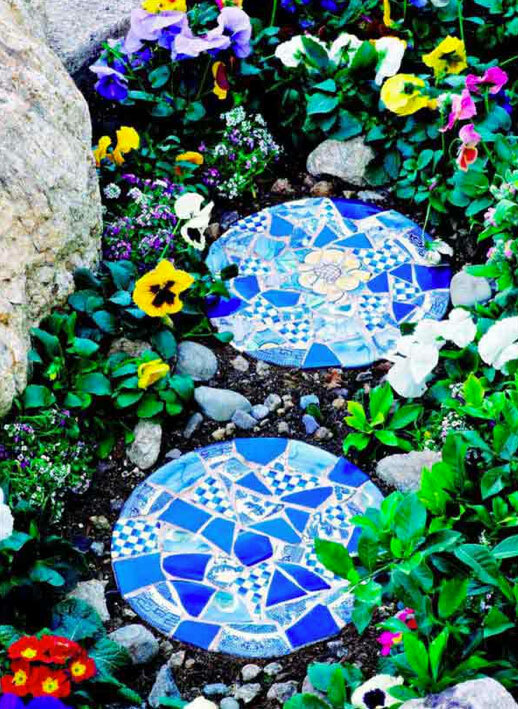 I would love to see your mosaic tile garden projects, post them on Facebook so the Garden Lovers Club members can see them! 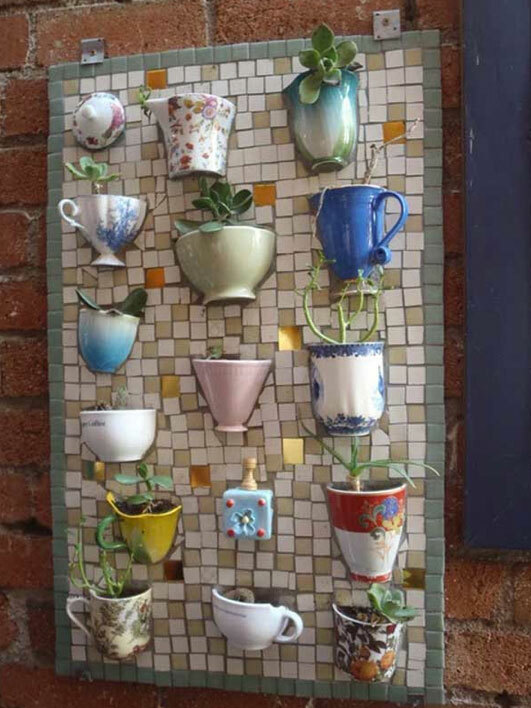 This is a Mosaic board that uses half teacups/half coffee mugs. 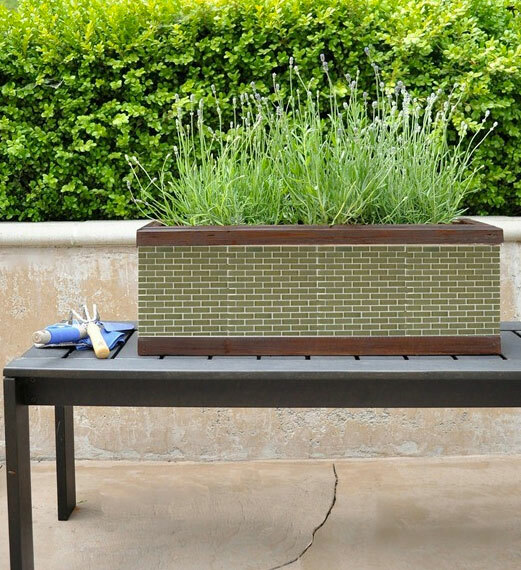 Try making this mosaic window box planter by Centsational Girl! This will look good anywhere. 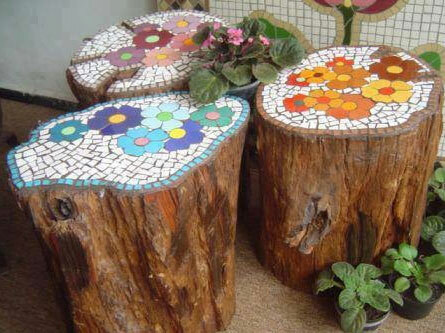 Have some old tree trunks laying around? Before you cut them up for your fire pit, I found these on Pinterest. Such a nice idea. It shouldn’t be too hard making these either. Simple, but a gorgeous stepping stone that would look good in any garden. 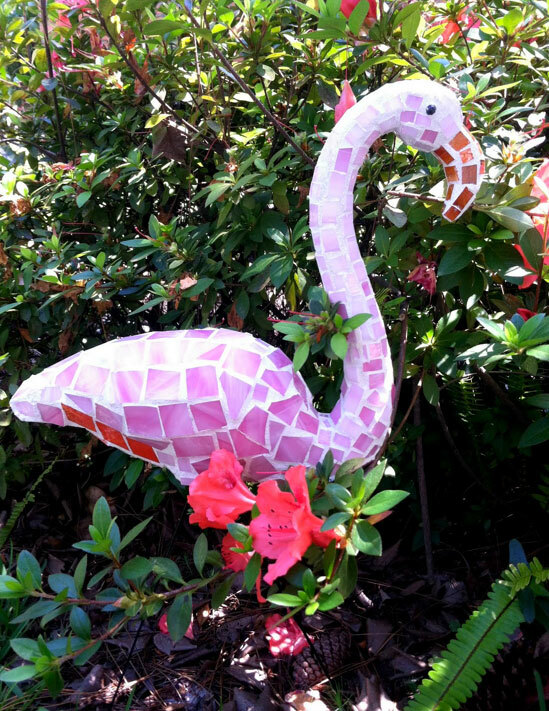 DIY Mosaic Flamingo – Checkout this tutorial here by Lucy!